The continued marketing push appears to be yielding results for the nascent startup GILD Collective, which just finished its fourth week as members of the Cincinnati-based startup accelerator The Brandery. That’s important because getting the word out about your product or service is a top priority for any startup. And what most people who haven’t dealt with or been a member of a startup don’t realize is that marketing often occurs simultaneously with actually creating one’s product or service. It’s part of the reality of startup life that makes agility so important, as startup leaders must be able to sense and respond rapidly to their market and their first customers. They’re gaining additional publicity. Local outlets TechOhio and Cincy Chic both recently profiled the team, which certainly helps them become known in the community and beyond. Booking parties and acquiring new customers continues at a good pace. And what’s more important is that that CEO Jessie Deye reports that some of that interest is starting to come from total strangers. That’s evidence of marketing success. In addition to booking more crafting parties, they’ve now had the opportunity to deliver and host a few of them. This is the core of their business, as they’re really selling an experience. They’re helping people have fun parties and overcome any fear they had of their own ineptitude in their own craftiness. So in these first few parties, the GILD Collective team continues to learn as much as they can from their customers. They’re continuing to define metrics for success. One interesting—and, I think, insightful—metric that the team is starting to use is a “viral coefficient.” Namely, they’re interested in how many people who attend the crafting parties as guests (in contrast to the person who hosts the party) choose to host a party themselves. That’s important, because if you think about the perfect customer (a strategy formulation exercise I highly recommend for any organization), you really want that person to not only buy from you again, but you also want them becoming an advocate for what you do. 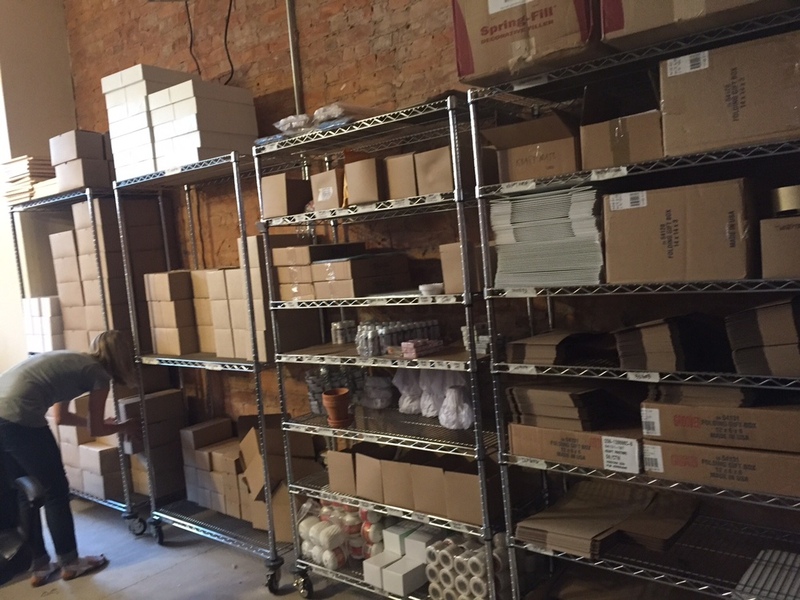 GILD Collective's first warehouse, with shelves full of crafting supplies. The team continues to experience a high level of volatility, uncertainty, complexity and ambiguity (VUCA), with ratings of each by the team members being relatively similar to last week’s ratings. One area—complexity—seems to be somewhat higher than the other three VUCA elements. That’s not surprising, as the team is starting to build systems and processes to support their work. Delegation and simplification must continue for the team members to help them manage everything that they need to do. As in previous weeks, the team is continuing to learn and experiment. Although the team didn’t have any major pivots this week, they are continuing to think through different options for marketing and for their overall business model. Some smart experimentation will likely serve them well in the future, as long as they keep their eye on what customers want and what the market can support in terms of pricing. One interesting lesson they’ve learned recently is that the average party is larger (8 to 10 people) than they originally anticipated (4 to 6 people). They’re also continuing to talk to their customers to uncover their motivations and preferences. The team is continuing to work on honing their brand, and there will likely be some interesting breakthroughs on that front soon.